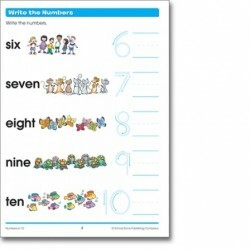 Count, color, and write toward better math skills!Prepare your child for future math challenges by introducing and reinforcing important beginning math skills, such as counting money, telling time, identifying shapes, and more. 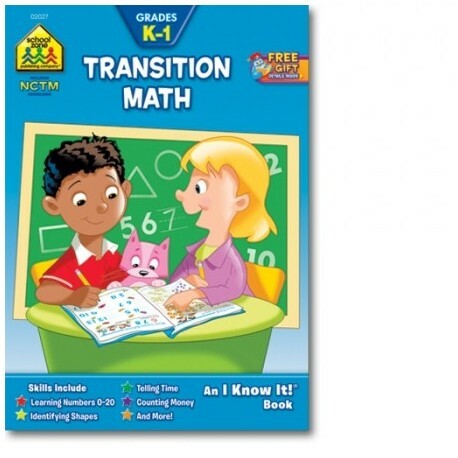 Following the Principles and Standards for School Mathematics published by the National Council of Teachers of Mathematics (NCTM), this workbook will help your child transition from kindergarten to first grade math in a fun, friendly, and creative way. 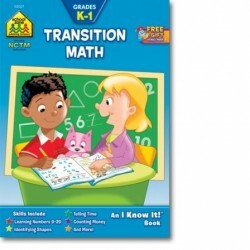 Review, reinforce, and accelerate your child's learning with School Zone's Transition Math! • Loads of learning for a low price!